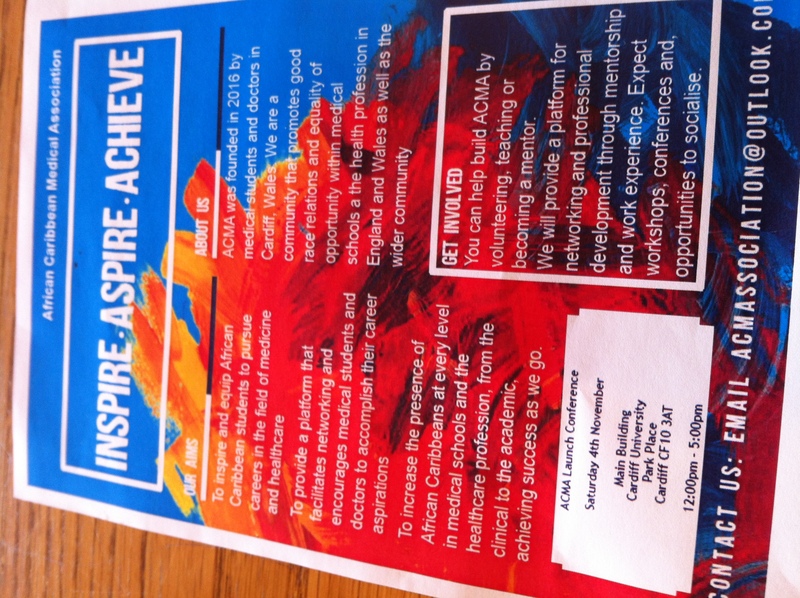 This weekend, I was privileged to attend the very enjoyable launch of ACMA, the African Caribbean Medical Association, an organisation set up by eight medical students from Cardiff University. With a strap line of Inspire – Aspire – Achieve, what’s not to like! 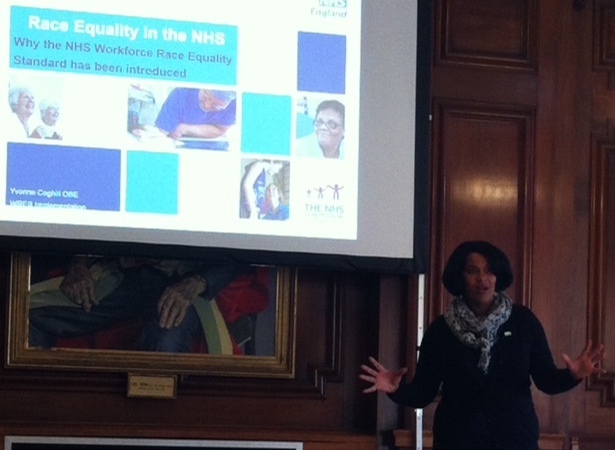 a very interesting talk from Yvonne Coghill about inequalities in healthcare: outcomes, opportunities and solutions. 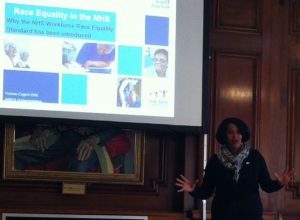 meeting talented and inspiring students from across the five years of the medical course at Cardiff University. At the workshops, we discussed the importance of a support network, the value of role models, how we don’t just wake up and find ourselves resilient. We talked about the mixed messages that can be received from teachers when appling for university. We also discussed food, make-up and hair. Things that can make us feel separate, perhaps isolated, from our peers and the new community in which we find ourselves when in a new place – like coming to university. What I enjoyed most was meeting and listening to many young and inspiring students. I felt lucky to meet them and very pleased that these are, in the main, Cardiff University students. These student are our future and they represent lots of bright minds and talented hands. 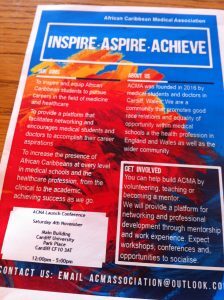 My thanks to the ACMA founders that made the weekend possible: Afua Amoah-Arko, Shafqat Batchelor, Tasha Chilambo, Obi Ebhogiaya, Rena Gwasaze, Emezie O’Rocha, Bea Ogun and Zara Taylor. Good luck for the future. A WEEK IN MEDICAL SCHOOL AT A GLANCE – 2ND YEAR!